The Mortal Instruments: City of Bones on Blu-ray and DVD is a novel-turned-movie that has had millions of readers thirsting for an on screen outburst of mythical forces. There are two conventional questions that are routinely on the minds of voracious readers when their favorite books become, potentially, their favorite movies as well. First, and rather obviously, is the novel The Mortal Instruments: City of Bones similar to the film, similarly titled? Second, have the director (Harold Zwart) and the stars (Lily Collins, Jamie Campbell Bower, Robert Sheehan, and Lena Headley) given moviegoers something special to remember and appreciate the characters for? In the case of the movie The Mortal Instruments: City of Bones on Blu-ray and DVD, casual theater-goers will marvel (no pun intended) at the summoning of supernatural forces en masse for their viewing entertainment. However, and regrettably, most diehard fans of the Cassandra Clare novel are now opining that their heroine (the author) has sold out and allowed her work to be largely ignored for the sole purpose of turning a gargantuan profit. 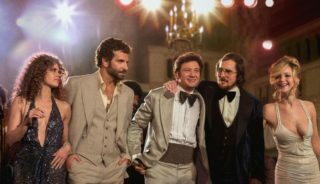 Given the apparent lack of depth the movie engenders and the slapdash manner in which the casting occurred sans any notable stars, those pundits might have more than a small gripe. Clary (the lovely Lily Collins) is a natural-born shadow hunter, a gift her mother Jocelyn (Lena Headey from “Game of Thrones”) has kept secret since she turned three years old. While spending time with her awkward best friend Simon (Robert Sheehan) at a poetry reading, and then at an undead night club, Clary meets Jace (Jamie Campbell Bower) and begins to learn about the existence of a world beyond her wildest dreams. During her first encounter with the shadow world of vampires, werewolves, demons, and conjurors, Clary is unaware that her beloved mother is under attack by Valentine’s (Jonathan Rhys Myers) servants. Valentine’s thugs are searching for one of the three so-called “mortal instruments”, sacred relics of unimaginable mystical power. These mortal instruments possess divine powers that are capable of turning mundanes (ordinary people) into shadow hunters. The Mortal Instruments: City of Bones on Blu-ray and DVD introduces the Mortal Cup, also nicknamed the “Angel’s Cup.” Valentine is in a frenzy to possess the cup in order to divine a new race of shadow hunters at his command. Essentially, he wants to perfect the bloodlines of his race. In order to gain the loyalty of followers, he confesses (falsely or truly) to Jace and Clary that he is their father. This leads to confusion and their brewing romance effectively smashes against a concrete wall. Demons are welcomed into the human realm and all undead breaks loose. 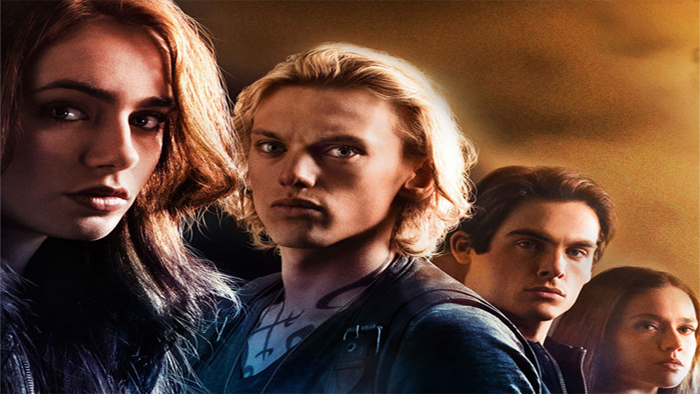 The Mortal Instruments: City of Bones on Blu-ray and DVD omits entire chapters from the book that are downright thrilling and necessary for the story to progress. Moreover, it feels as though director Zwart cherry-picked the most screen-suited portions to adapt. While there is absolutely nothing wrong with this sort of a directorial choice, the fact remains that in the process author Cassandra Clare’s book is being distorted and in key places, shred to pieces. What remains after entire chapters have been excised is a movie that is formulaic. For renters or purchasers, The Mortal Instruments: City of Bones on Blu-ray and DVD contains a Twilight-esque love triangle, vampires battling werewolves, and there is a Lord of the Rings style quest for obtaining relics. Watching this movie at the IMAX proved to be indeed a treat. Perhaps ideal viewing conditions for this brand new, and insanely high-def Blu-ray/DVD combo pack are on a 50″+ 1080HD screen with at least a 120hz refresh rate. Trumotion people! Ultimately, moviegoers oblivious to the existence of the wildly popular Cassandra Clare series will find The Mortal Instruments: City of Bones on Blu-ray and DVD to be like an episode of Underworld or Bloodrayne. Frankly, as a more observant film critic, it is obvious that this first movie is just the beginning and the entire production crew need time to adapt and immerse themselves into their roles and responsibilities. For a first movie of a franchise, The Mortal Instruments: City of Bones on Blu-ray and DVD is a 5/10 for its scintillating cinematography and potentially explosive plot. However, the missing five points can be attributed to its brevity as compared with the novel it is based on, and because the actors do not accurately represent their characters, at least as written. Only one howlllllllllllllllllllllll up this time dear readers. Here’s hoping that a more clever and seasoned director can make a mountain out of what already was a mountain-turned-molehill. Watch The Mortal Instruments City of Bones trailer here.